That’s a wrap! 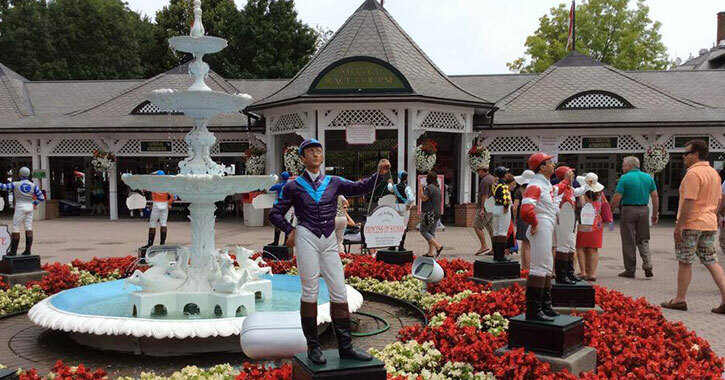 On September 3, the 2018 summer meet came to a end in Saratoga. Not only did this season see the highest ever all-sources handle for Travers Day and Woodward Day, but the second highest total handle to date. Pretty impressive for a rainy summer! Read on for a recap of this season’s highlights, from the exciting events and additions to the record-setting victories. This summer, 50 races were taken off the turf due to the exceptionally wet weather in Saratoga: about as many as the previous two years combined. Despite that, the 2018 meet ended with a total all-sources handle of $659,083,459 and an on-track handle of $148,826,388. 2018 was also the third year in a row that welcomed more than 1.1 million fans to the track, bringing in a paid attendance of 1,124,149. 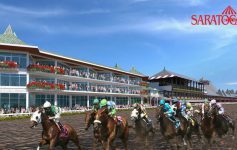 At 49,418 guests, Travers Day was near-capacity. The day’s card shattered records with an all-sources handle of $52,086,597, the first time wagering broke $50 million on Travers Day. It was another impressive season on the racetrack as well! With blowout winner Catholic Boy, jockey Javier Castellano scored his record sixth victory in the $1.25 million Runhappy Travers. Klaravich Stables stole more victories than any other owner this summer, scoring 21 wins in total. Earning the H. Allen Jerkens training title, Chad Brown broke his own Saratoga record with 46 wins. And taking home a second Angel Cordero, Jr. riding title, jockey Irad Ortiz, Jr. ended the season with an incredible 52 wins. According to NYRA, expanded coverage and NBC telecasts during the final three weekends accounted for a significant jump in Saratoga Live viewership. Hosted again by FOX Sports 2 (FS2) and FOX Sports Regional Networks, NYRA’s award-winning broadcast saw a massive 62% ratings increase in its third season. In addition to the excitement on-track, 2018 welcomed highly anticipated features like The Stretch, giving guests access to high-tech, modern boxes, a two-tiered dining section, and premium reserved seats in the Grandstand. But that’s not all! 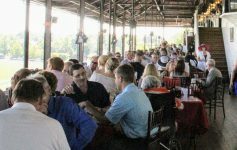 Next year will see the grand opening of the 1863 Club, which will replace the At the Rail Pavilion as well as the seasonal tents and trailers near the end of the Clubhouse. The new, 36,000-square foot building will provide hospitality and amenities for guests, plus three floors of usable space and even a full-service kitchen. This season, guests had the chance to meet with 40 regional non-profit groups at the Community Outreach Booth, where they could raise funds and learn about important causes. Over two days, racing fans who visited the booth could have their photos taken with the sterling silver and 14-karat gold Triple Crown trophy! The beautiful award was on display during the Red Jacket Ceremony, which welcomed two-time Triple Crown winner Bob Baffert to the Saratoga Walk of Fame. Already reminiscing? We can’t blame you! 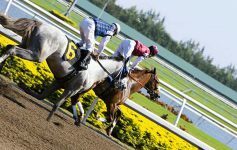 For more on this year’s meet or to keep up with track updates, visit NYRA.com. And don’t forget: this Friday, September 7, live racing heads downstate! Belmont Park’s 36-day meet will run through October 28.